Oh my goodness, I am in love with this bookcase. 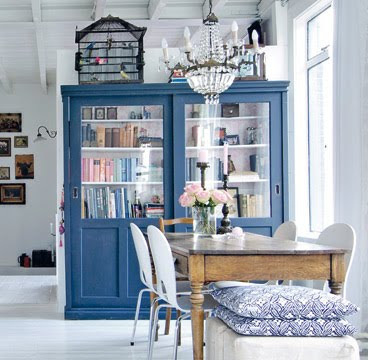 Matt and I are hunting for a very large wall bookcase, I think we may have found it at Ikea...but this blue one is oh so charming! And very soon I shall have some shots of our new place. The big move is in four days! can't wait to see your new place!